1. Navigate to "my account" on our website (The process is the same on the Aspen Grove Studios website). 3. 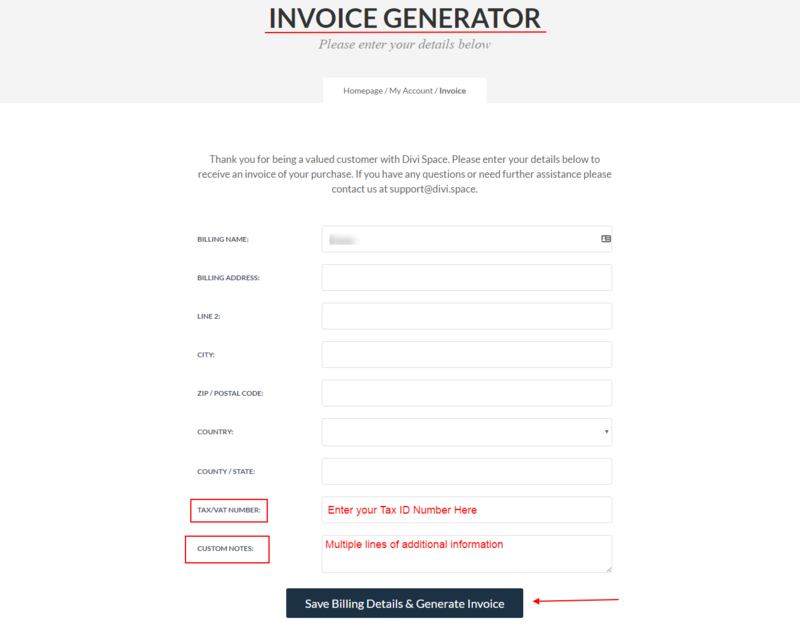 Find the transaction for which you want to generate an Invoice and click the link on the "Invoice column"
You will get a form to fill in where you can write all the information you need to be in your generated invoice. It includes a field for your tax ID-Number and a multiple line field for more additional data. 5. After you've filled in all the details, click the button "Save Billing Details and Generate Invoice" and you will see a preview of your generated invoice which can be printed to hardcopy or PDF. 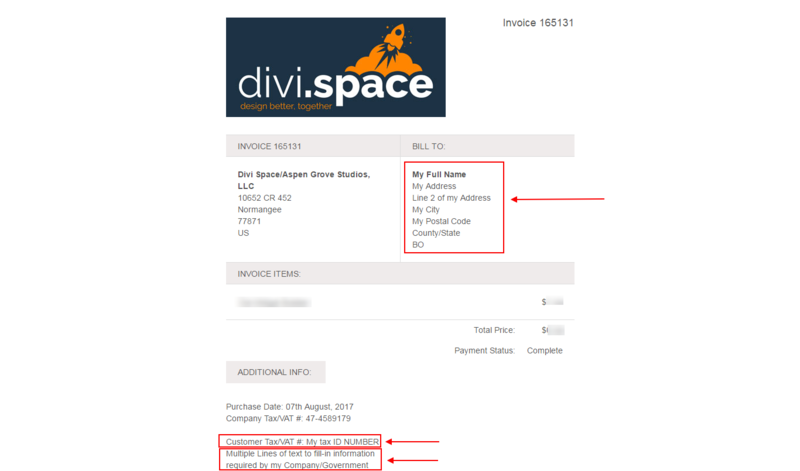 I subscribed to the Divi Demo Zone... How do I access it?